With readings, reflections, verses and poems, this collection is perfect for planning your own advent service or devotional. This collection is perfect for planning your own advent service or devotional. 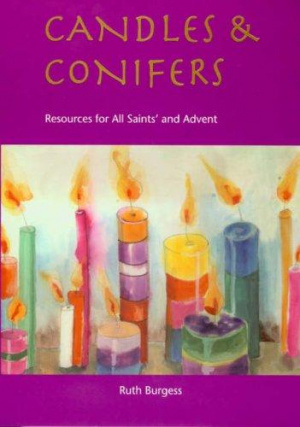 Candles & Conifers is a collection of seasonal resources - prayers, liturgies, poems, reflections, sermons, meditations, stories and responses, written by Iona Community members, associates, friends and others. 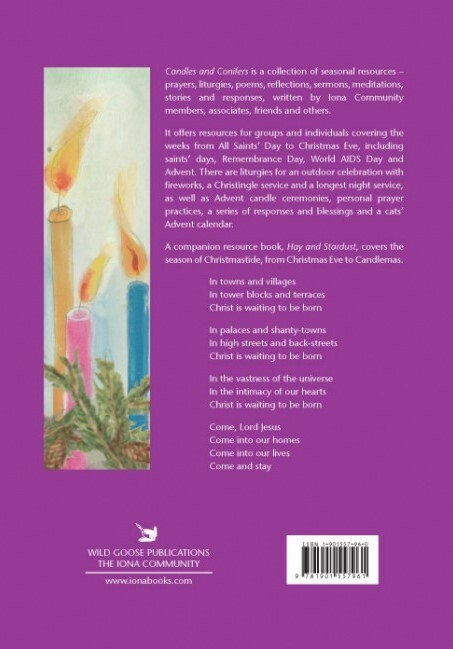 It offers resources for groups and individuals covering the weeks from All Saints' Day to Christmas Eve, including saints' days, Remembrance Day, World AIDS Day and Advent. There are liturgies for an outdoor celebration with fireworks, a Christingle service and a longest night service, as well as Advent candle ceremonies, personal prayer practices, a series of responses and blessings and a cats Advent calendar. A companion resource book, Hay & Stardust, covers the season of Christmastide, from Christmas Eve to Candlemas, and will be available soon. Candles & Conifers by Ruth Burgess was published by Wild Goose Publications in October 2005 and is our 14321st best seller. The ISBN for Candles & Conifers is 9781901557961. Be the first to review Candles & Conifers! Got a question? No problem! Just click here to ask us about Candles & Conifers.